In this fast changing world, most of us feel stressed by the concept of time and see it as increasingly ruling our lives. It’s important to understand how we experience time is entirely to do with the associations and beliefs it holds for us and the story we tell ourselves about it. 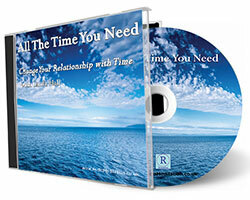 This self-help CD allows you to change your relationship with time and feel more at one with it. Four deeply relaxing meditations help you relate to time in a calm and positive way, showing you how to deal with stress so you can live more in the present. In this fast changing world, most of us feel stressed by time and see it as ruling our lives. It’s important we understand that the way we experience time is shaped by the associations it holds for us and the story we tell ourselves about it. 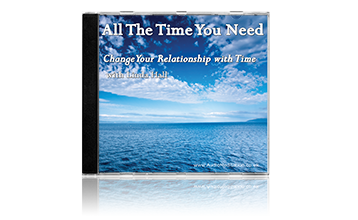 Using stress management techniques and positive affirmations, this relaxation meditation CD aims to help change your relationship with time and make it easier for you to go with the flow.